Want to see all the technologies used by filmschoolrejects.com? Film School Rejects is a film-based blog that offers movie reviews, interviews, film industry news, and feature commentaries. The blog brings together the brightest minds and most interesting voices in the industry to provide a running commentary track on the world of entertainment. 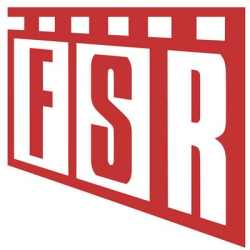 Film School Rejects has been featured and quoted in numerous publications, including [The New York Times](https://www.crunchbase.com/organization/newyorktimes), [CNN](https://www.crunchbase.com/organization/cnn-com), The Los Angeles Times, [Mashable](https://www.crunchbase.com/organization/mashable), and more. It was nominated for Best News Blog by Total Film Magazine, has been recognized as a Critic’s Choice by the Broadcast Film Critics of America, and was named one of the 50 Best Blogs for Filmmakers by MovieMaker Magazine. Film School Rejects was launched on February 15, 2006 and is based in Austin, Texas. For a quick look at additional technographic info on filmschoolrejects.com or any domain on the web, download our Chrome Extension. Check out our help article to see how Datanyze Insider can help you.